My mom would have been 86 today if she would still be alive. You know .. count how old a person would be? This year I selected this picture of Mom for several reasons. First. . . .it made me smile. She had a thing about writing on top of her pictures in the albums. It wouldn't exactly pass with the scrap booking girls I'm sure. The other thing that made me smile about this picture was how delighted she looked. My brother who was pastoring the church at the time had given my mom free reign on the church pipe organ . .. . (not during the service mind you) to play a few of her favorite hymns. She talked about that for years. 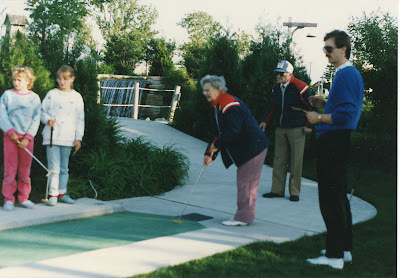 I included this picture in todays post because she really enjoyed mini golf. She enjoyed it even more when it included her grandkids. On the left of the picture are Tanya in the blue jeans and Chrissie in the red pants. Today is Chrissie's birthday as well. Happy Birthday Chrissie!! Last year I posted about my Mom and Chrissie sharing a birth date. Back to the picture. . .
Another thing that made me smile at this picture was that my mom and dad were wearing matching jackets. . . . my beloved and I haven't started doing this yet. Young people laugh at that. I know. . .because I used to be a young people and we always got quite a chuckle out of my parents matching clothes. Note to self .. . .
as we age .. . .don't start doing the matchy matchy thing .. . even if it comes back into style .. .
because then it will still only look good on the younger generation. And lastly. . .about the picture .. .
my brother Gerry on the right looking very smart in his white runners and dark shades (right back in style). Every year, I miss my mom for different reasons. This year I have said I'm sure a hundred times. . . .
"oh mom would have loved these grandbabies"
She would have been delighted that her youngest child had become a grammie. Still miss you Mom .. . . Okay .. .now to the reason you checked in with me this morning. My total step average wasn't great this week. I was going to post a picture of me with my runners on and my feet up on the couch. . .
it would have been quite true. I did still move around some and the week wasn't a total loss. I'm feeling much better and next week I plan to be back at it. Okay .. .I better run, we have a wedding to go to this afternoon and I still don't know what I'm wearing. . .the cream coat or the purple coat. .. . Okay.... walking this week has sure gone down the toilet!! Literally! My step counter just won't stay put and with its final step it flew down the toilet! I have yet to find myself a new one that also has a clip on strap! Any ideas where to find one? Lovella...this is unbelievable! I did a tribute to my mom today...she would have been 82. Are you getting together with your siblings today also? Maybe we'll be meeting you at Birch Bay! I won't even check-in with my step count this week...I've done a little stepping, but no counting! Yes, I do tell myself how old someone would be. On Feb 2nd I told myself that my dad would have been 86. He died in 1983; he was still so young (61) by my new standards of what old is...they tend to change as we get older I've noticed. And in December my mom would have been 83; she left us 5 years ago. You did very well on your stepping for being ill. And I'm glad to hear you are feeling well enough to go out today, that's good news. My daily average this week was 9,532. I also wanted to say how much I love your hankie photos on your previous post. James was just saying today that he wanted to make a valentine for Auntie Helen (who passed away in Nov). I tried to explain we couldn't, because she had died. He said he wanted to make one for the "new Auntie Helen." :) I'm one that would tend to remember a person's birthday after their gone too. I managed to do my 5 min of biking each day with exercises, but only did 10 min some days. I think I'll aim for 7.5 minutes a day next week. Thank God for such a strong legacy of mothers. I pray that we as women can be that encouragement to our families. Interesting that you and Judy both have the same dates posted for your mothers. 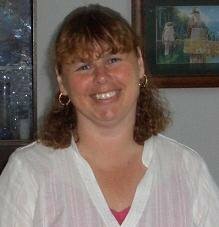 My post today also honors a mother, only her life was too short. Today is my dad's birthday. He is 79. We haven't been back to Canada for three years which is so hard especially not seeing my dad. The last time I was home I wondered if it would be the last time I saw my dad. He is healthy overall but you never know at that age. I hope and pray we will be home this year with two little girlies in tow. They just had a lovely visit from their other grandparents which was wonderful. They left yesterday so today is kind of sad. I will get back to my blogging pronto. Have fun at the wedding. I say wear purple too. Other people that I knew well...that is different. And people who were contemporaries tend to haunt me. Why them, I think. And I wonder at all that they missed. Personally I think matching Hawaiian outfits are adorable at any age. If you ever are going to do it, do it in Hawaii. Your thoughts about your mom are lovely. She's so enthusiastic and cute behind that pipe organ. I've been researching accurate pedometers on line and I'm going to order one. One feature that has become important to me is a reset button that is protected. I lose steps - sheesh. I estimate my average for this rainy week is about 6,000. Not so good. But my knees are pretty happy. The pile of hanky's is really pretty. Hope you feel better this week. Yes, I count how old my mom would have been - she would have turned 62 this September. It's hard to imagine her that age sometimes. She will always be 48. Well, I'm glad you're feeling better. Keep on with the walking!! You did well for someone with the sniffles. I hope you're all better now. I, on the other hand, seemed to have caught your cold. 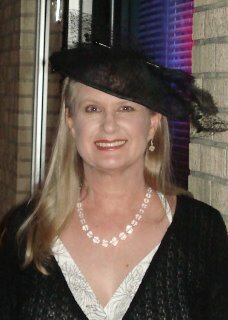 I'm in bed with a cup of hot tea -staying home from a surprise b-day party for a friend...sniff sniff. I always do that with my mom's age- she would have been 87 on Dec 17th. And I find more reasons, as my children grow, to miss her. She would have been so delighted with them. ah well...hopefully they have a way of peeking through a little window from heaven and knowing how we are. No matching outfits here yet. . .
My step average was pretty poor too since I was in sick club right along with you. Sure knocked me flat on my back. So I got enough energy to go to they gym this morning. Released a few endorphines.....so feelin' better. I think it's fabulous how you remember your mom and write a tribute to her for her birthdays. I bet she's smiling down on you today from beside her Father in Heaven. And for the record, if you and Terry start matching I'll drive straight on out to your house and give you a little talking to. Happy birthday to your dear Mother! Of course it is the thought that counts, so think it, say it, and it is so! I am sure she is delighted with you and would have loved those grandbabies. 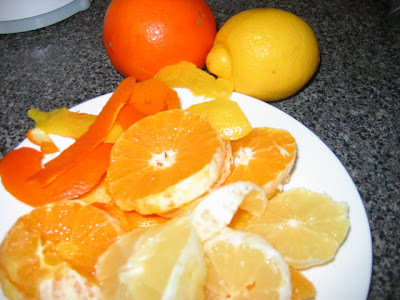 I've read about three special moms in Blogdom today. Your tribute is wonderful. I love the photo of your mother sitting at the organ. 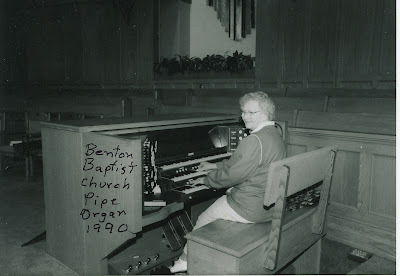 My MIL became the church organist at around age 14, and continued until she had to retire a few years ago due to the loss of her eyesight (she is now 86). I have many fond memories of her playing so grandly (and sometimes for fun!). She still plays the piano beautifully from memory. Doc and I will probably never do the matchy-matchy thing, but we have been known to color-coordinate. 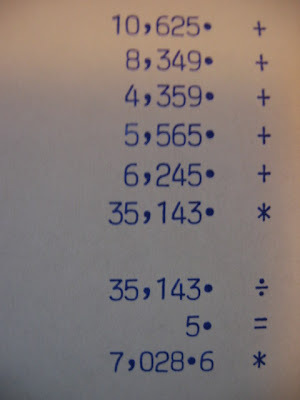 My totals are better this week than last week: 9,364! The hike last Saturday certainly helped! I'm not sure how totals will be next week as I will be in the car most of the day on Monday driving home from Phoenix. I do remember people's birthdays. My brother and I call each other on our parents' birthdays and talk about them and about how old they would be. February is a sad month because both of them passed away in midFebruary, eight years apart, my mother on the 13th in 1994 and my dad on the 11th in 2002. My mum's birthday is Feb. 14th and if she was still alive, she'd be 68 in a few days time but ordinarily, I don't keep up with what her age would be if she was still alive. When we were younger and in the throes of new "love", we used to match - well at least in colours - I always thought it was a "young love" thing and didn't realise older people wear matching clothes - I'll have to watch more carefully in future. what a beautiful post to your mother. you can tell how good of a mother she is because she is still today influencing you life on a profound way. what a beautiful blessing, something to strive for for the rest of us as mothers. lovella i am curious. how do you get that much stepping in. how long do you walk each day? i know that living in the country may include a few more steps. if i was still working in the nursing home we would walk about 11,000 steps a shift, but those days are behind me now and i don't think i could do it anymore. we wore pedometers for fun then. Beautiful thoughts and memories about your mother! What a wonderful birthday tribute!